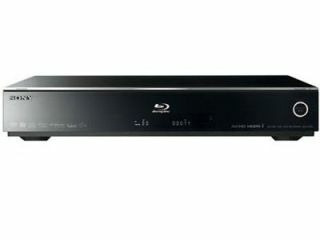 Sony has released its latest batch of Blu-ray recorders in Japan, and has unveiled some forward-thinking new features in the process. The 500GB Sony BDZ-A950 and 320GB Sony BDZ-A750 have the ability to automatically convert file formats ready to watch on your PSP on Sony Walkman device. Essentially, this means that the need for a PC to convert your digital wares just went right out of the window. The way the recorders do this is by hooking up to the acTVila video download service, which takes the footage, assembles it for a portable device and does it all without messy copy protection. As with most of Sony's high-end range, the machines also sport Bravia Link, so if you own a TV, then only one remote control is needed. The Blu-ray recorders are released in Japan at the end of April. Unfortunately, this means that they won't be making their way to the UK any time soon, so we'll just have to sit and salivate from afar for the time being. Pricing is around the £1,000 mark for the BDZ-A750 and £1,200 or thereabouts for the 500GB BDZ-A950.